“Music lovers-attack!“: Well this was huge. And had so many cd’s and vinyl’s that you need to spend too many hours in there in order to see everything you need. The amount of merchandise products of everything that accompanies all the music and movies all around, is breathtaking. “Huge selection of music, video and collectibles“: If you want something in music, video or games – they have it! 3 floors stuffed with stuff. Lots of T-shirts from every band and film. “Amazing selection of stuff!“: Great shop with amazing selection of music and other stuff. I have never seen such a huge music shop before! Recommend it truely for anyone with specific needs! “Great selection of vinyl LPs, CDs, DVDs, T-shirts and other stuff“: Bontonland locate near of Václavské náměstí in the tunnel of the Můstek metro station. Perhaps the easiest way to enter the store is from Na Příkopě -street. The store include good selection of CDs, DVDs, Blu-rays, vinyl LPs, T-shirts and other accesories. If you like to buy music, this is your place. Hint: From this shop you can find also good selection of Czech jazz recordings. Records are at one level down from the entering level of the store. “Geek-Music-Splendid“: It in Wenceslas Square and in a lower arcade off the main street but has signs at street level, if you are into Music, memorabilia, T-Shirts or just a Geek go and spend 30-60 mins you will purchase something. My daughter and bought several T-shirts and we tempted by lots of other items, thankfully my wife was getting bored and dragged us away back into the 36 degree heat of Prague and the sites. “Good vinyl selection, especially jazz.“: This is a a bit of a mega-store but worth a visit to the basement floor for the vinyl selection. If short on time it is ideal but if you have longer in Prague check out the independents. The biggest Music Megastore in Central Europe. 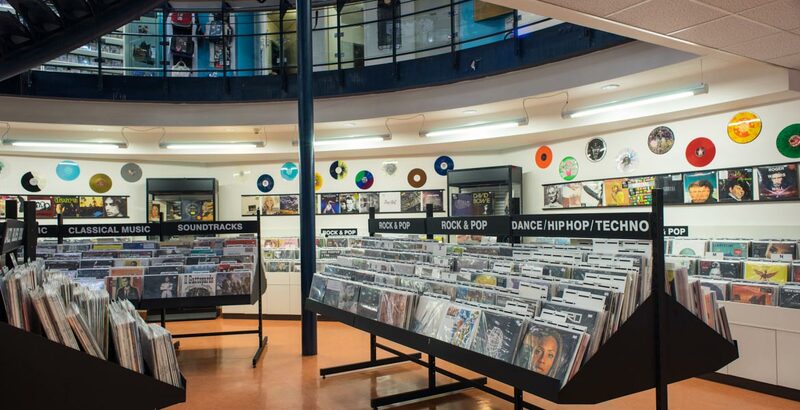 We have the largest collection of Vinyl’s, CD’s, DVD’s and Bluray’s - more than 60 000 products on 3 floors in the center of Prague. Huge collection of merchandise of your favorite bands and artists. Open: Mon-Fri 9:00-20:00, Sat 10:00-20:00, Sun 10:00-19:00. 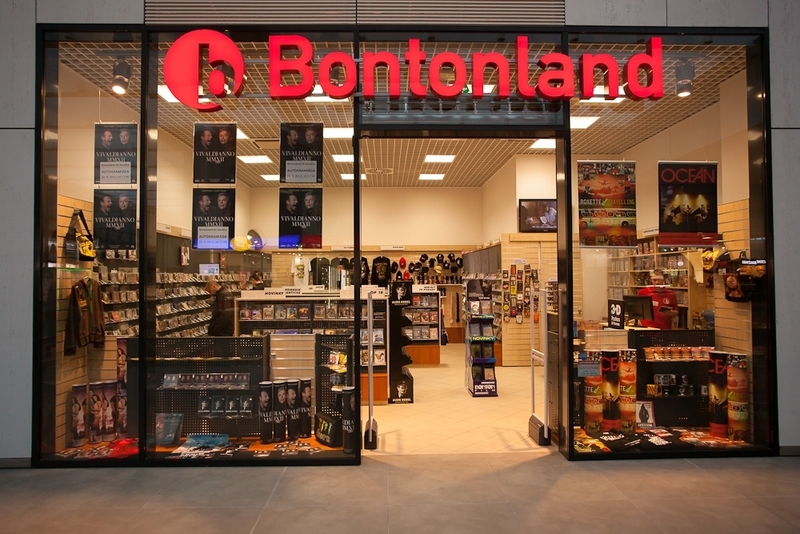 Bontonland is the largest retail chain stores in the Czech Republic with a complete range of entertainment products, including music media, video media and multimedia. The company currently operates 15 stores. The largest of them, Bontonland Megastore in Koruna Palace on Wenceslas Square, the sales area is ​​approximately 2,000 square meters offers essentially complete product range available.